Here’s everything you need to know about the Czech Republic version of eBay, shipping, auctioning, etc. and other alternative, equivalent sites for Czechs..! 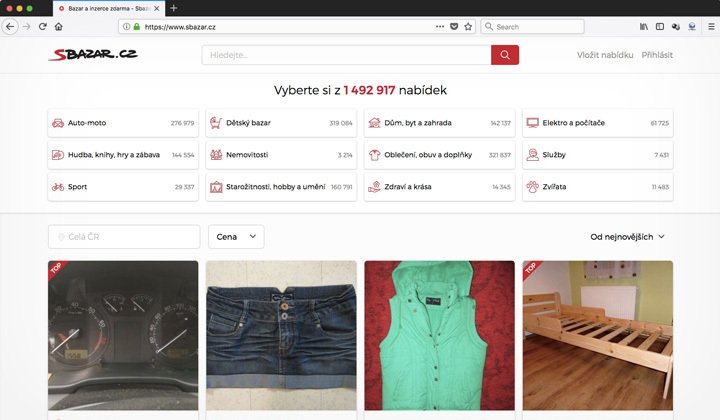 The site intended for customers from the Czech Republic, “eBay global” is one of the most popular e-commerce sites, if not the most popular auction site. There are also alternative sites like eBay, worth checking out for price comparison, and local shipping costs — they are listed further in the post below! These are my tips on how eBay works better for Czech users, how to compare pricing amongst sellers, how shipping, delivery works, etc. There are many local sellers, so it can be worth it searching amongst them first if you want your order as fast as possible, and with cheap shipping costs. Step 2. Downwards on that page you’ll se “Located in” settings. Step 3. Search for and select “Czech Republic” from the country list. Step 4. Only items from Czech sellers will be shown. Shopping with eBay sellers from Europe, Asia, etc. A popular methods is to shop amongst European sellers to do without customs taxes, or Asian sellers for competitive pricing and cheap delivery options. Step 2. Search anything that you are looking for. Step 3. On your left, there is a menu with several options. Amongst them is a quick selection for the “Item Location”, switch results to Europe, Asia, etc. Most globally available items can be shipped to the Czech Republic. Shipping methods however totally depend on the seller. Ranging from regular mail services to fast courier services or a selection of both and something in between. The eBay website itself detects your internet location automatically, and tries to calculate shipping costs depending on the country you are in. If detection does not work, you might want to set your country in the account settings. Also, this will ensure that relevant items are shown in search results. Sellers on eBay are known to ship to cities such as Prague, Brno, Ostrava, Pilsen, Olomouc, Liberec, České Budějovice, Hradec Králové, Ústí nad Labem, Pardubice, Havířov, Zlín, Kladno as well as the rest of Czech Republic. The site is also often used for selling goods from international locations by entering the Czech e-commerce market. Thanks to the extensive global shipping program, it’s easy to do business there, conveniently in English with a known shopping brand. If you are looking for an alternative seller and auctioning portal like eBay, some come close and most are classic classifieds ads sites. Unfortunately there is nothing in English, so eBay is likely the most useful for foreigners, expats, etc. 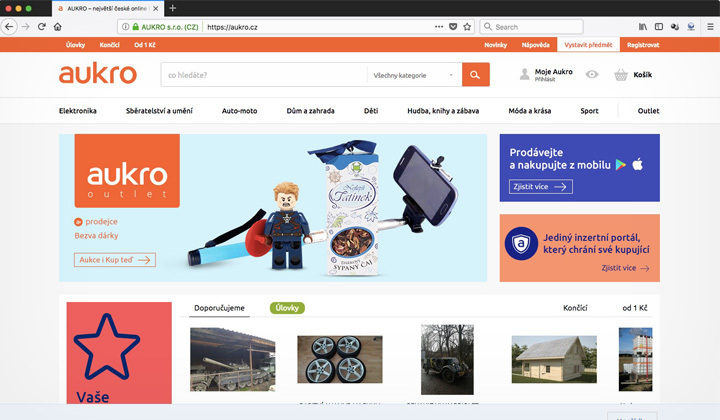 Quoted as “The largest Czech online marketplace” (největší české online tržiště). Aukro, is focused in auction listings, as well as purchases for a fixed price. Serving as a seller portal to both individuals, traders and businesses. They launched in 2003, and to date have about 4 million users according to Aukro. Likely the best alternative. The website is in Czech language only. 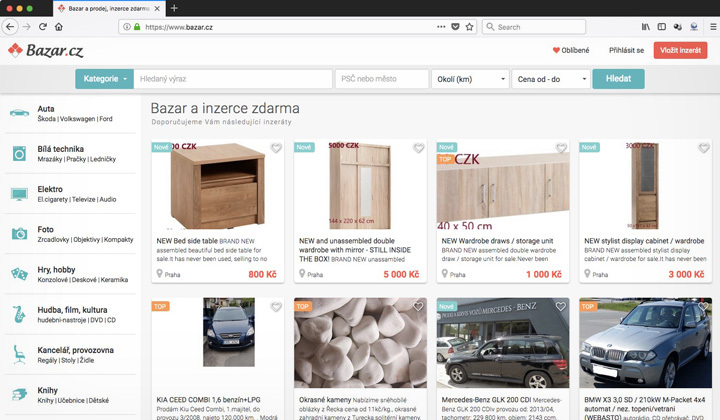 The “Free classifieds, & internet bazaar” (Inzerce zdarma, internetový bazar), is a more basic classified ads style site operating in Czech Republic, Slovakia, Poland & Austria. You will need to communicate with sellers directly. Main sales categories are; Animals, Children, Reality, Work, Car, Motorcycles, Machinery, House & Garden, PC, Mobiles, Photo, Electro, Sport, Music, Tickets, Books, Furniture, Clothes, Services, and Other. Operated by the Czech internet portal and search engine, Seznam.cz, Sbazar is yet another classifieds ads site. They offer free ad listings for selling used goods. They have online shopping categories such as; Auto, Children, House, Electricity, Computers, Music, Books, Games, Real estate, Clothing, Footwear, Accessories, Services, Sport, Antiques, Art & Hobby, Health & Beauty, Animals. And yet another very, very basic classifieds ads website with very little available information about it. Not as popular as other ones mentioned in this post. And the categories are; Cars, White technology, Electronics, Photography, Games & Hobby, Music & Film, Office, Books, Mobiles, Motorcycles, Furniture, Clothes & Shoes, Computers, For Kids, Collectibles, Services, Sport, Construction & Housing, Machinery, Weapons & Equipment, Animals & Breeding and Other. And that should cover the auctions, and seller-to-seller business-to-seller portal scene in the country — please share, if possible! Questions or suggestions on other eBay equivalent sites below. Thank you for your kind visit as well, David. Also I would like to be transparent with my readers, and notify you that some of the links offered could be affiliated with the businesses they link to. This supports my work here and keeps me doing my best writing awesome content.